He was running against an ebullient and unrelenting Democrat in Bill Clinton and a pesky, sometimes annoying third party candidate in billionaire Ross Perot, who, with his famous charts predicting economic disaster and his rapid-fire rhetoric was the making the life of "Bush 41" pretty miserable. 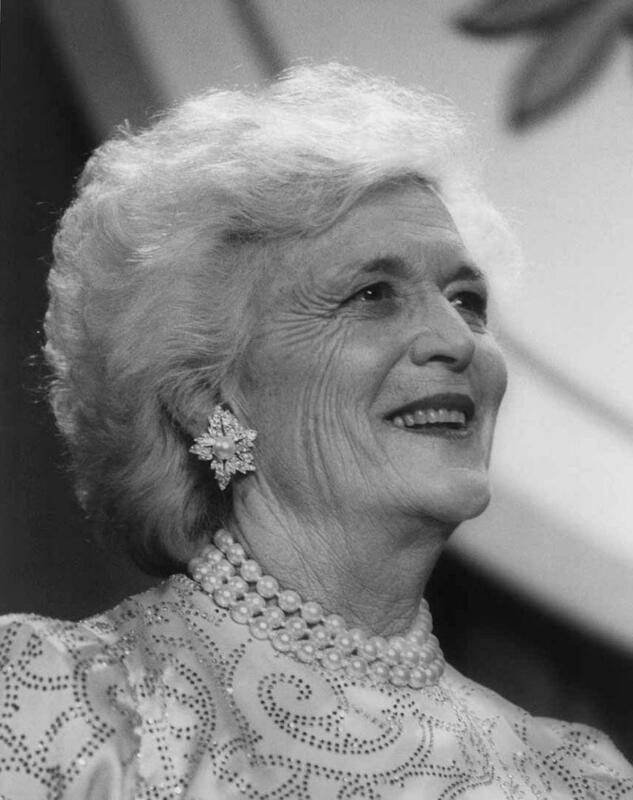 But the president had something special going for him in Barbara Bush – a dignified, well-dressed, well-spoken woman with perfectly coiffed white hair. She had become something of a mother figure to much of the nation (or grandmother, depending on your age). She had come to Cincinnati for a half-day of campaigning before moving on to Kansas. Mrs. Bush arrived in Cincinnati the night before and was holed up in a very nice suite at a downtown hotel. I'd been contacted several days in advance about whether I would like to interview the First Lady at the hotel. Of course, I accepted; and showed up in the lobby of the hotel early in the morning, where I was met by a campaign press aide and a detachment of Secret Service agents, who, of course, had to check me out. I was ushered into the suite; sat in a winged-back chair; and in a few moments, Mrs. Bush came out, dressed in red with her signature pearl necklace and sat in a seat beside me. She was very pleasant, but the conversation started out somewhat awkwardly. She asked me to tell her a little about myself. I mentioned that, some years before, I had tutored grade school children in reading in a poverty-stricken former coal-mining town in southeast Ohio. I had struck the right note. Nearly every First Lady in recent history has had an issue she tried to draw attention to. Mrs. Bush's issue was literacy, especially among children; and there is still a foundation in Houston she founded to promote family literacy. That's a wonderful thing to do, she said, I wish more people would do that. It sparked a good conversation on many issues, some political, others not. After a half hour or so, I was ushered out and went back to the Enquirer to write. I had about an hour before she was scheduled to go over to the Hamilton County Republican Party headquarters at Seventh and Walnut downtown to do a meet-and-greet with a roomful of campaign volunteers manning a phone bank and dialing voters. She worked the room for about half an hour, charming everyone in sight. One woman on the phone bank looked particularly haggard; and Mrs. Bush gave her a serious, sincere look and said, We're going to win this thing. With people like you. The polls weren't particularly good at the time for Bush; and I've always wondered if she truly meant what she said to the Republican volunteer. The campaign wanted to get a good photo op. So two young Republicans who had worked in the Bush 41 White House – Rob Portman (now a U.S. Senator) and his best friend since high school, Joe Hagin (who was deputy chief of staff in President George W. Bush's White House and is doing the same job for Donald Trump) were asked to walk the First Lady down Seventh Street to the Skyline Chili restaurant at Seventh and Vine. An enormous mass of reporters, still photographers, and videographers followed along; and the whole mob poured into Skyline, right at the height of lunch hour. The patrons at the tables and counter were craning their necks to see what was going on – then the buzz started. Barbara Bush is in the house! She sat down with Hagin and Portman at a table near the counter. It had been chosen in advance; Skyline management knew what was going to happen. The Secret Service always checks out wherever one of the people they protect go. The media surrounded the table, with the TV lights glaring on the three of them as they placed their orders. This, of course, was Mrs. Bush's first encounter with Cincinnati chili; Hagin and Portman explained to her the intricacies of the 3-, 4-, and 5-ways and the construction of a cheese coney. The woman serving that table stood by, pad in hand. Mrs. Bush's order was simple: a glass of water and one cheese coney – skip the onions. She was a bit concerned about leaving with onion-breath; she had to get on a plane to go to Kansas. I can't do that to them in Kansas, she said. Soon, the orders arrived at the table. The cameras were at the ready. This would be the shot of the day. Maybe the month. Maybe of the whole campaign! The First Lady of the United States shoving a Skyline cheese coney down her gob! Anyone who has ever had a Cincinnati chili cheese coney knows perfectly well it is impossible to be elegant while picking it up and eating it, with cheese and chili flying everywhere. It may be delicious, but it's not a beautiful thing to watch. Mrs. Bush took one look at this cheese coney sitting on a plate in front of her and immediately got a look on her face. You could tell what she was thinking: Oh no, you don't. You're not getting me on every TV network and newspaper in the country with this thing hanging out of my mouth. She very politely asked the server, Dear, could I have a knife and fork, please? Utensils appeared quickly; and Mrs. Bush very carefully cut up her coney into bite-sized pieces – pieces she could eat one at a time and retain her dignity. Which she did; and proclaimed it delicious. One of her dining partners paid the bill and left a generous tip and the First Lady and her entourage were off. She gave the photographers a wink, a nod and a knowing smile. They were heartsick. The political photo of a lifetime, lost forever. Barbara Bush was one savvy politician. Copyright 2017 91.7 WVXU. 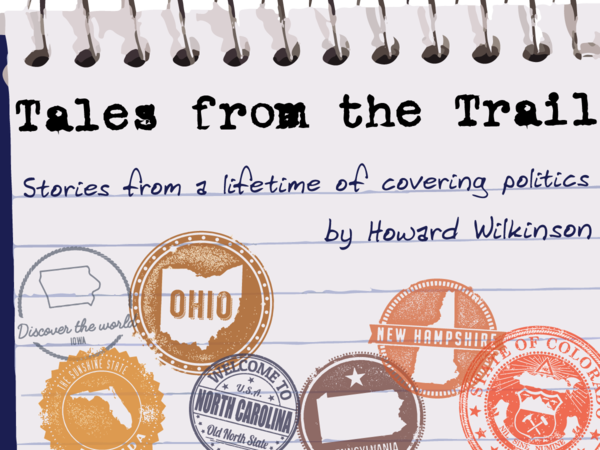 To see more, visit 91.7 WVXU.